Considering the vast array of variables involved, this is a somewhat loaded question. Given all the possibilities, I’ve found there is one answer than can be universally given before any other. 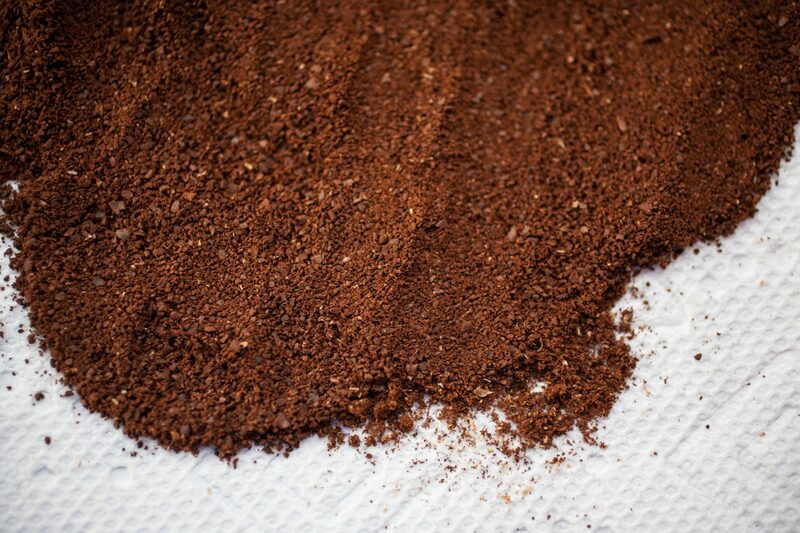 By that I mean, grind your coffee right before you brew – ideally within minutes. To solidify the importance of this point, we performed a grind time test. We took one bag of coffee split into 6 different segments. Each was ground at a different times before brewing – 7 days out, 3 days out, 1 day out, 8 hours before, 1 hour before, 1 minute before. We discovered that the batches ground 1+ days out all tasted roughly the same, and could be described as muted and dull compared to the freshly ground and brewed batch. The two ground the same day, but 1-8 hours before, exhibited extra bitter and undesirable flavors, in addition to having the good flavors being muted. 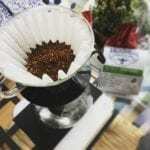 The conclusion is simple – if you don’t grind right before you brew, you will lose a vast amount of vibrancy and flavor in your cup (and you will lose it fast). 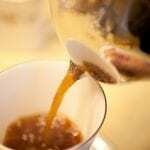 So I preach this one simple thing – grind your coffee right before you brew. AND, it honestly doesn’t matter what grinder you have to start. Yes, much of the coffee loving experts out there will chastise me for saying this – but if you don’t have a grinder, a cheap blade spice grinder will do just fine. 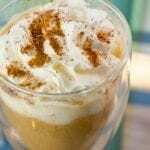 It’s better than grinding your coffee in advance, hands down (just realize, getting a higher end burr grinder can make a world of difference going up to the next level). BUT – you don't need to go with a blade grinder just to spend less. 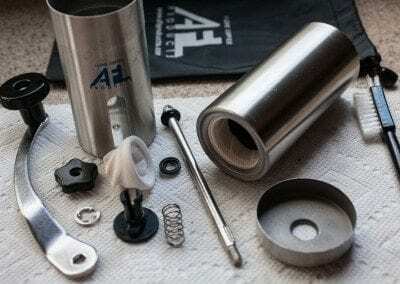 There are some excellent hand crank burr grinders available. 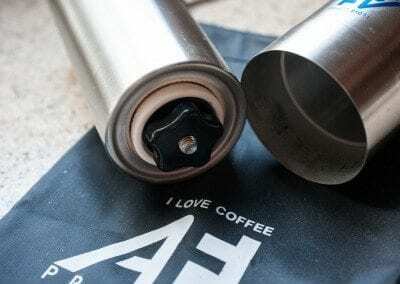 I’ve always been a fan of hand crank burr grinders – due to their portability, their relative quietness level, and the quality of grind I get for the price. 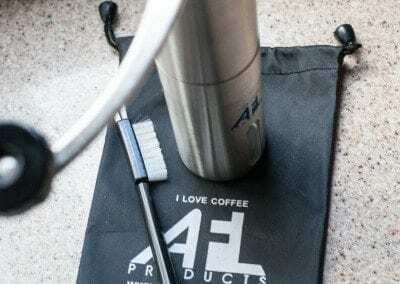 So I was happy to see this new hand grinder pop up – the folks at AFL Coffee sent me one of their grinders to try out. Those of you on our email newsletter will have already received a couple emails about this grinder – they have set up a special promotion so you can get it for just $6. I’ll say this flat out right now – if you don’t have a coffee grinder at home, drop what you are doing (ie, stop reading this), and go get this grinder. You won’t find a better grinder at that price. Those of you who are familiar with the Porlex will see the immediate similarities – however it’s a bit unfair to compare the two (the Porlex retails at almost double the price). Here, I want to just talk about the AFL Coffee Hand Grinder by itself. Pros: It has pretty good quality ceramic burrs. Though – and this is the only time I’ll compare to the porlex – the inner burr appears a bit dull. That might account for some of the greater grind size variation that I mention below. 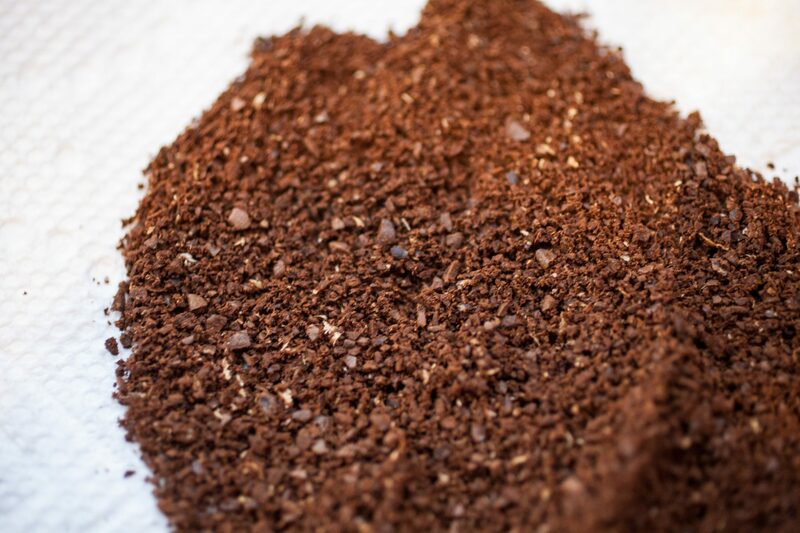 It is relatively simple to adjust grind size, though as with any hand grinder it’s a bit of trial and error. Once you figure out the correct setting for your needs, it’s fairly easy to adjust (and get back to that setting after cleaning). You can grind a pretty good amount at once (35-45 grams depending on the coffee). 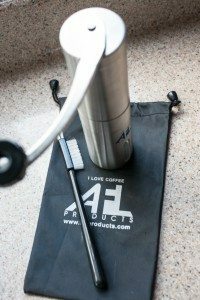 It’s portable – the narrow bodied design makes it a bit easier to shove into a backpack or breifcase if you want to keep a grinder with you on the move. It also comes with a brush for easier cleaning (I actually really appreciate this), and a nice pouch for carrying everything. Cons: This grinder has a lot of parts, including small ones – When I first picked up the grinder I took it apart, and nearly broke it putting it back together (when you re-apply the cap after adding coffee, do not push the cap down with any pressure. If the cap gets stuck for you, like it did for me, you will need to take apart everything starting with the burr, and pull the central pin/axis out). It appears to have a notable grind size variation particularly at coarser grind (however, this is common amongst hand grinders). It is difficult to grip – the outside is smooth, and I found it annoying to grip and turn the handle sometimes because the whole thing would just spin in my alternate hand. The grind size variation becomes less of an issue when you grind finer. This makes the grinder perfect for the Aeropress and most drip grinds. You may run into challenges when using the Chemex and French Press, as they necessitate a coarser grind (typically) – and the coarser grind on this grinder will result in a larger variation in grind size (meaning, you will have some part of your coffee overextracting more often). I’ve been using this with my Aeropress for several mornings and have been pleased with the results. There’s one more possible problem – the outside burr can’t be removed from the housing. So while you can clean the actual burrs, it’s likely over time grounds will get stuck between the outside burr and the housing – and you can’t clean that. It also makes drying the grinder after washing take a bit longer. It’s quite simple – if you don’t have a grinder at home, get this. If you use an electric blade grinder, get this, and discover the difference in your brew that a burr grinder can produce. 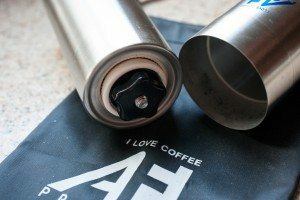 For a limited time, you can get this grinder for just $6 – all AFL asks is that you write a review for their grinder on Amazon.